The thing I like about chicken is its flexibility. It readily adapts to the flavors it's combined with and so we find Coq au Vin, Sweet and Sour Chicken, Tandoori Chicken, and chicken fajitas. Last year my father and I spent a weekend at a cabin in the mountains. I knew we'd have a stove, but as for cooking equipment I had no idea what would be available, so I bought some chicken thighs, packed a good skillet, and planned this meal. 1. Heat oil in a skillet over medium-high heat. 2. Add spices and cook, stirring, for about two minutes. This allows the spice flavors to "bloom." 3. Add chicken and brown on all sides; 7 - 8 minutes. 4. Stir in garlic, onions, and tomatoes and cook 1 minute longer. 5. Stir in yogurt, remove from heat, cover, and let rest for 2 - 3 minutes. 6. Stuff into pita. 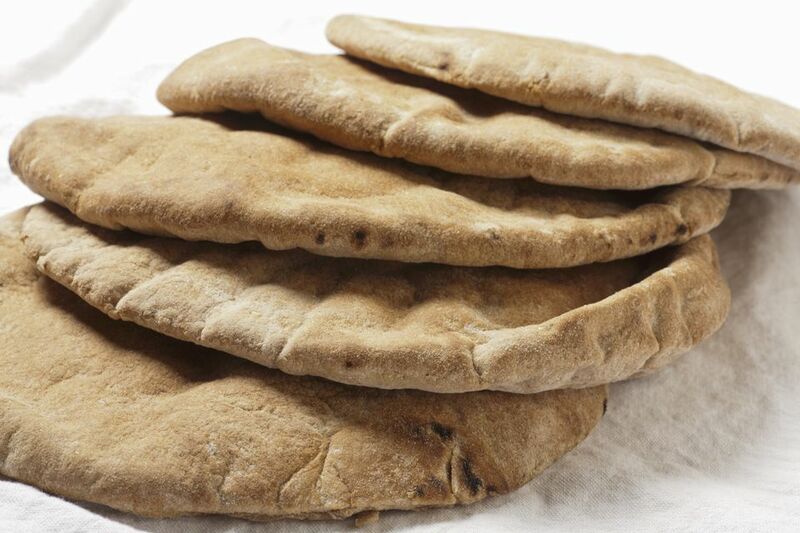 Fills two pita halves. Note: Asparagus Vinaigrette is a great side dish with this.